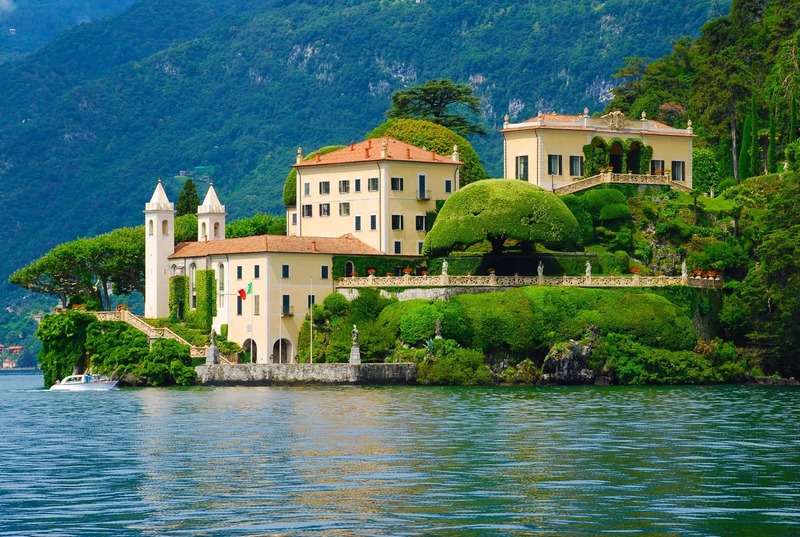 Lake Como and Lake Garda are perhaps some of the most romantic destinations on earth. 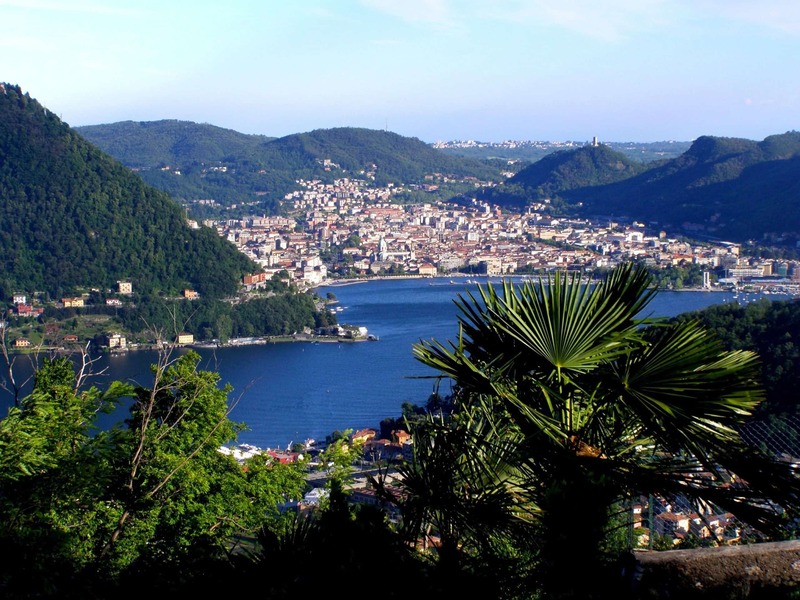 Ideal for a honeymoon, gay or straight, this itinerary takes in both of Italy’s famous Lombardy region lakes. With stays at both Lake Como and Lake Garda, you’re sure to find a romantic haven and sanctuary to celebrate your love. Staying at some of the region’s finest hotels that we’ve chosen especially for this itinerary, you’ll also have a convertible car on hand to drive through the area exploring its stunning natural beauty. Fly into Milan and pick up your convertible for your drive to Lake Como. You’ll be staying at the beautiful Grand Hotel Tremezzo which offers great views of Lake Como and Bellagio. It features a modern wellness centre, numerous dining options and 3 swimming pools, both indoors and outdoors. Dating back to 1910, the Grand Hotel has a charming Art Nouveau design with original frescoes and antique furniture. You can enjoy fine Italian cuisine at La Terrazza restaurant overlooking the lake. There are also a number of wine bars and lounges to choose from. 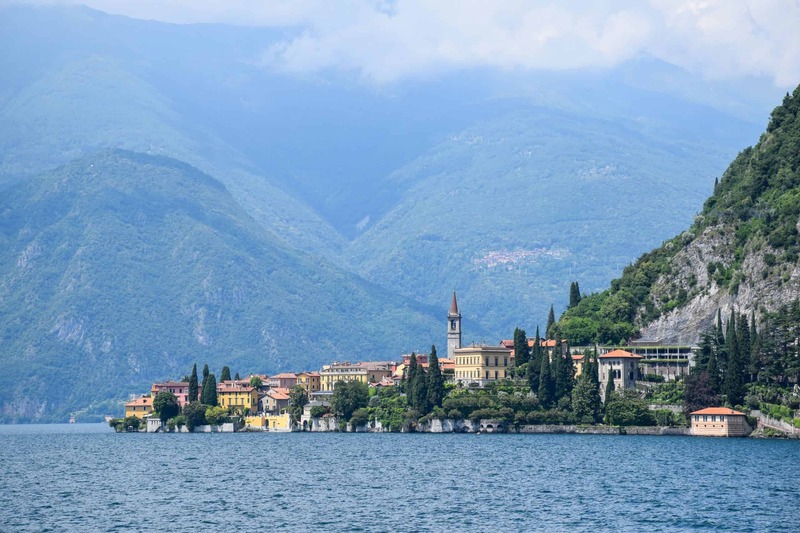 Set in Tremezzo, the hotel is a 5-minute walk from Cadenabbia harbour for boat trips across the lake. Take the scenic drive from Lake Como to Lake Garda. Located in a secluded area 5 minutes’ walk from Sirmione’s historic centre, Villa Cortine has beautiful gardens where you will find a pool, a tennis court and a private pier. Close to Catullus’s Villa at the tip of the Sirmione peninsula, at Villa Cortine Palace you will be able to enjoy the same views across Lake Garda as Roman nobles once did. Villa Cortine’s 4 hectares of gardens have fountains and statues. You can sunbathe on the hotel’s pier or swim in the lake. 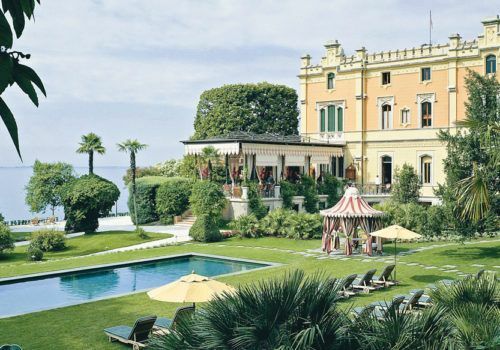 Drive in your convertible to the second hotel in Lake Garda, the stunning Villa Feltrinelli. This elegant hotel in a neo-Gothic villa right on the lake. Set within the villa or the hotel’s grounds, the sophisticated, old-world rooms and cottages are all individually decorated. The property has hosted many a star, including Tina Turner. This is sure to present the perfect dreamy setting for your perfect honeymoon and the ideal place to unwind with the serenity of Lake Garda on your doorstep.